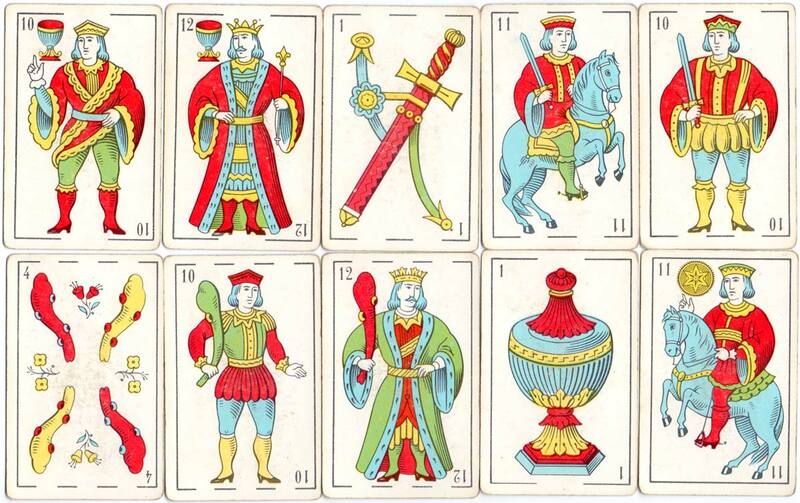 Spanish-suited playing cards manufactured in Uruguay for the fifteenth anniversary of Supermercados CHIP, manufactured by Compañía General de Fósforos Montevideana S.A., 1979, in the typical style used in South America of the Spanish Catalan pattern. 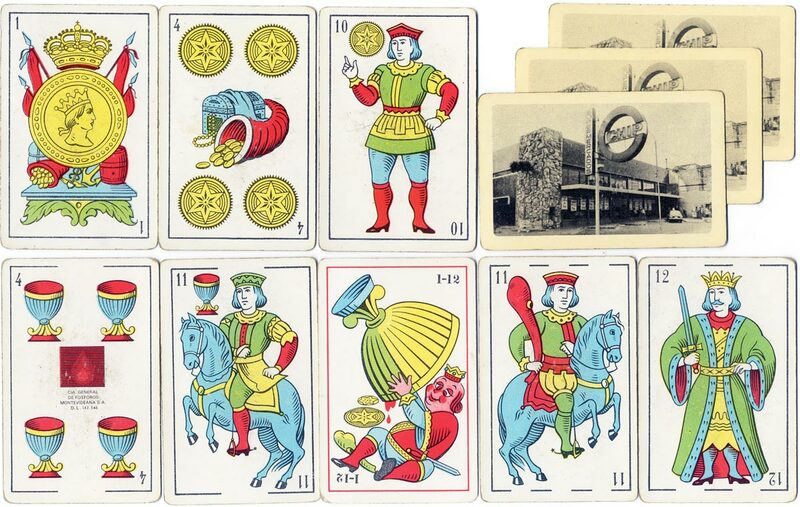 Above: Supermercados CHIP playing cards manufactured in Uruguay by Compañía General de Fósforos Montevideana, 40 cards + 2 jokers in special box, 1979. The company motif, portrayed on the four of cups, is depicted as a flame, which symbolises the company's principal product, matches. The jokers depict a fat king having emptied the contents of a huge goblet. 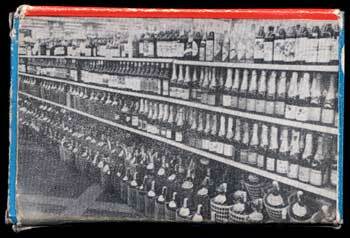 Right: the back of the box shows a photograph of the interior of a supermarket with rows of bottles on shelves.